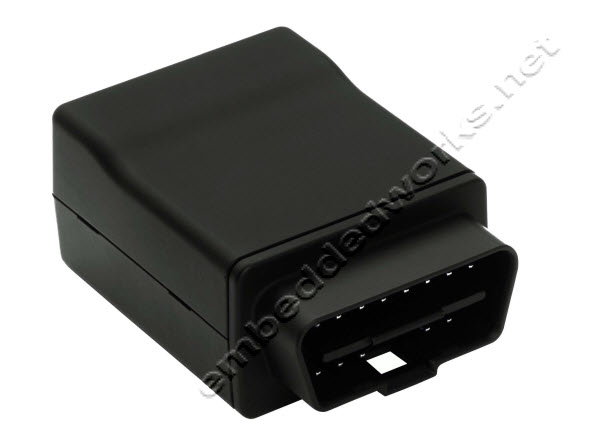 The LMU-3035� is an easy-to-install full featured vehicle trackingThe LMU-3035� tracking unit from CalAmp features a compact form factor, high-sensitivity GPS for reliable location and tracking, an Onboard Diagnostic interface (OBD-II) for access to diagnostic data, and patented triple-axis accelerometer motion sensing technology or detecting aggressive driving maneuvers such as harsh acceleration, braking and cornering, and high-impact events. The LMU-3035� is enabled with PEG�, CalAmp's proprietary programmable event generator to continuously monitor the vehicle operating environment and respond instantly to pre-defined and configurable threshold conditions such as motion, location, geo-zone crossings and custom parameters. The LMU-3035� also leverages CalAmp's management and maintenance system, PULS� (Programming, Updates, and Logistics System), for over-theair configuration parameters, PEG rules and firmware. This out-of-the-box hands free configuration and automatic post-installation upgrade can monitor unit health status across your fleets to identify issues before they become expensive problems.